Using a GPS for snowmobile trails or riding with a GPS for ATV trails is gaining in popularity and GPS apps for mobile phones now have the capability to store maps for offline use, when a WiFi or cellular signal is not available. Our ATV and Snowmobile GPS trail maps provide a transparent trail overlay for your Garmin GPS, mobile phone or tablet. 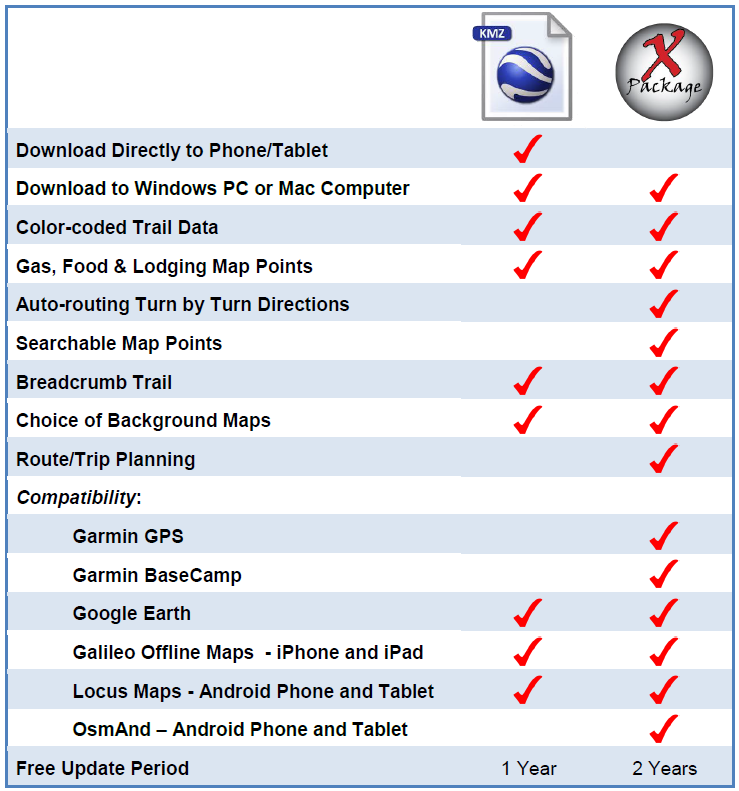 These GPS maps will run on most Garmin GPSs and will integrate with several GPS apps for iPhone, iPad and Android devices. A GPS or mobile device mounted on your snowmobile or ATV provides modern navigation complete with turn-by-turn directions and trip statistics such as total miles, max speed, average speed, moving time, stopped time, etc. Trail maps from GPS Trailmasters will "Enhance Your Riding Experience". Instant download included with every map purchase. 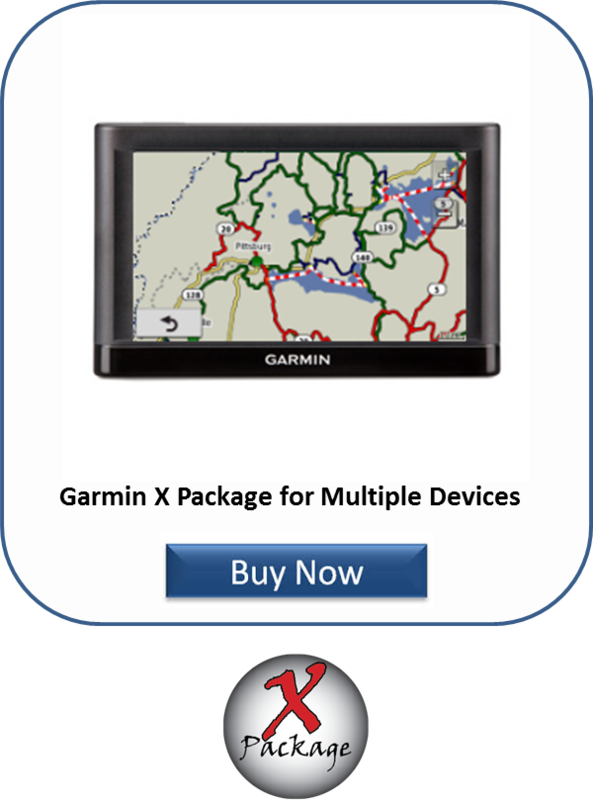 One purchase installs to your GPS, smart phone and tablet (X Package products only). FREE downloads on X Package products for 2 years and Smart Phone Data products for 1 year from the date of purchase. Our maps are updated multiple times each season. Create routes and plan trips on your computer. Purchase a routable GPS Snowmobile trail map for Maine, New Hampshire, Vermont, New York, Pennsylvania and Canada. Purchase a routable GPS ATV trail map for Maine, New Hampshire, Vermont and New York. Available for Windows PC's and Macintosh computers. Receive email notification of map updates and product information. The trail map is part of your dashboard for quick reference. See your position on the GPS trail map at all times. Leave a “bread crumb” trail to know where you have been. A GPS on your snowmobile or ATV can be viewed easily both day and night. Use your Garmin GPS to locate gas, food and lodging. Zoom in to 50 feet or zoom out to 50 miles. Estimate arrival time better, and plan better “loops”. A GPS trail map is a great way to combine your paper maps. Always carry paper maps as an additional navigation aid. See our Installation Guide for how to install our maps from the download or purchase a pre-loaded microSD card for plug-n-play insertion into your Garmin GPS. Explore a Google Map overlay of our Snowmobile GPS trails and our ATV GPS trails. Zoom in to your favorite riding area. Click on a trail segment to see the trail name. Try "Satellite" view to test the accuracy of our trails! These are the exact trails and trail names you will see on your GPS or mobile device. Our GPS maps are updated every few weeks during the riding seasons. Our maps are proudly made in New Hampshire, USA. 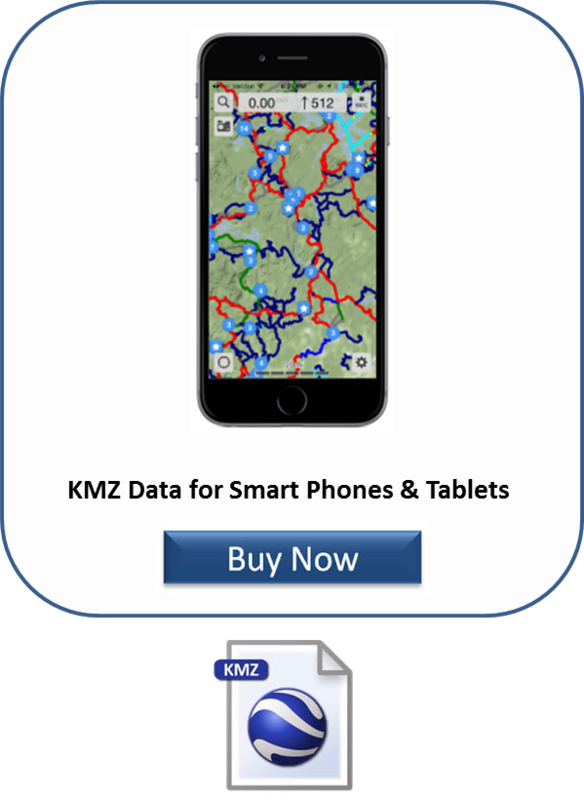 Enjoy the auto-routing feature of our snowmobile and ATV GPS maps (not available with KMZ map data). Plan a route or select a destination and get turn-by-turn directions displayed on your GPS. See your route highlighted on the display. Monitor the "Time to Turn" and see the turn indicator displayed on your GPS. Search hundreds of Points of Interest to guide you to trailer parking, gas, restaurants, lodging, scenic views and more. Our color-coded GPS trail maps transparently overlay the existing street maps in your Garmin automotive GPS or existing basemap on your handheld GPS. The image on the left shows the Garmin Montana 600 factory DEM basemap. The image on the right has the transparent NH snowmobile trail map overlayed on the basemap. Read all about our maps for additional information. You don't need a special snowmobile GPS or ATV GPS. Dust off one of your old automotive Garmin's from the glove box. Check your GPS model against our compatibility list. If you’re considering a GPS for snowmobiling or ATVing, read our GPS review. We recommend purchasing a Garmin GPS that is waterproof and ruggedized for outdoor use. Ideally the GPS should be IPX7 rated and operate in temperatures near zero degrees. The battery type and battery life varies for each unit. We highly recommend you wire-in your GPS with the hard-wire mounting kits available. The 12 Volt accessory plug on your sled or ATV can be used to power the GPS as well. The GPS can be mounted to your sled or ATV many different ways. Ram Mount components can be used to mount to the handlebars, the windshield or to the dashboard/cowling.